Upgrades Included! This bright, open, upscale townhome is an end unit with over $40K in upgrades. Home features an Elevator to access all three levels! 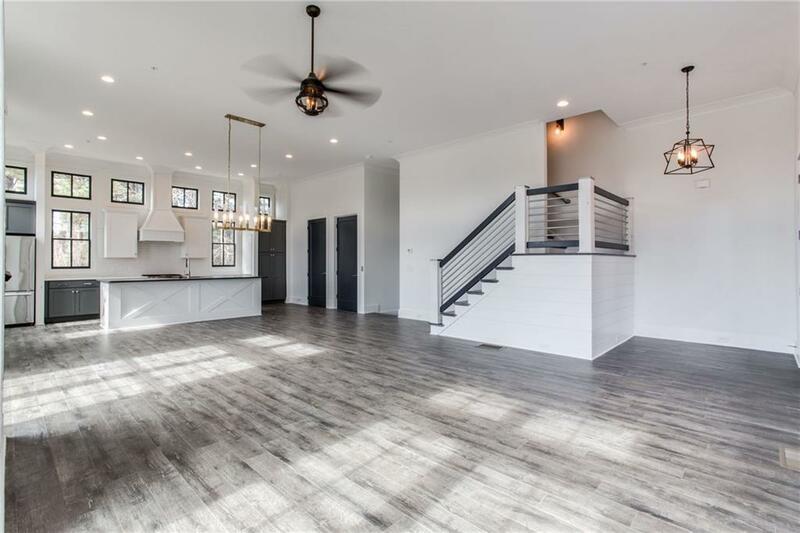 The 12' ceilings on the expansive main level are breathtaking, upgraded flooring on every level, towering brick accents, upgrade master tub & closet, alligator granite on the immense kitchen island is perfect for entertaining. Two front patios overlook the landscaped central plaza, close to Avalon & 400. Rest of the community will be complete Summer 2019.